ALS is a progressive neurodegenerative disease that affects nerve cells in the brain and the spinal cord. Motor neurons reach from the brain to the spinal cord and from the spinal cord to the muscles throughout the body. The progressive degeneration of the motor neurons in ALS eventually leads to their death. When the motor neurons die, the ability of the brain to initiate and control muscle movement is lost. With voluntary muscle action progressively affected, patients in the later stages of the disease may become totally paralyzed. When muscles no longer receive the messages from the motor neurons that they require to function, the muscles begin to atrophy (become smaller). Limbs begin to look "thinner" as muscle tissue atrophies. The body has many kinds of nerves. There are those involved in the process of thinking, memory, and of detecting sensations (such as hot/cold, sharp/dull), and others for vision, hearing, and other bodily functions. The nerves that are affected when you have ALS are the motor neurons that provide voluntary movements and muscle power. Examples of voluntary movements are you're making the effort to reach for the phone or step off a curb; these actions are controlled by the muscles in the arms and legs. The heart and the digestive system are also made of muscle but a different kind and their movements are not under voluntary control. When your heart beats or a meal is digested, it all happens automatically. Therefore, the heart and digestive system are not involved in ALS. Breathing also may seem to be involuntary. Remember, though, while you cannot stop your heart, you can hold your breath - so be aware that ALS may eventually have an impact on breathing. ALS can strike anyone. [10% is hereditary, for 90% there is no known cause]. While there is not a cure or treatment today that halts or reverses ALS, there is one FDA approved drug, riluzole, that modestly slows the progression of ALS as well as several other drugs in clinical trials that hold promise. Also, Northwestern University has recently published exciting news regarding the cause of ALS. There can be significant costs for medical care, equipment, and home health caregiving later in the disease. View video full story below this synopsis. Now imagine caring for this person 24/7/60 from morning to night. This was our life, written prior to and edited since Bryna's passing. My name is Mel Solon. I'll be 78, July 2017, Bastille Day. My wife, Bryna, was 71. We met at a singles dance at the Beverly Hilton Hotel, got engaged three days later, and married three weeks later in Las Vegas, 50 years ago, March 2016. On January 31 of 2014, our lives were changed forever when Bryna was diagnosed with ALS, amyotrophic lateral sclerosis, better known as Lou Gehrig’s disease. 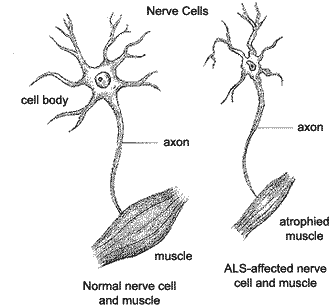 ALS is a neuromuscular disease with no present cure or effective treatment. She used a feeding tube to eat, and communicated with the use of a computer, either with a gyroscopic mouse or the blinking of her eyes. Fortunately, her mind, spirit, and sense of humor were relatively unaffected, as those who had visited can attest. Our hope was for Bryna to survive long enough for a cure to be found. While our miracle didn't manifest, she is definitely in a better place. I'm confident, also, that a cure will be found so that others, patients and caregivers, will not have to suffer from this terrible disease. With help from hospice, I did everything I could to fulfill her wish to spend the time she had left in our home with me as her round-the-clock caregiver. While stressful and frustrating at times, the spiritual nourishment I received for caring for Bryna made it easy to do my job both willingly and lovingly. To help fund research to find a cure or effective treatment for ALS and MD (Muscular Dystrophy), click here to donate whatever you can at GoFundMe.com/BrynaALSBattle. Any amount will help. You also can help, non-monetarily, by simply sharing our story through social media, and, if able, by putting us in contact with whomever you may know who can provide print or airtime. If interested in informative and enlightening details, scroll to view In Pursuit of a Miracle, the whole story. We hope you find it not at all sad or depressing, but instead, very positive and uplifting. A positively inspiring and thought-provoking love story! I loved it. It made my heart smile. Unbelievable testament to the power of positive thinking and a life affirming attitude.